The members of the State Committee have spoken. They heard from the campaigns, carefully considered the records, values, and character of all of the candidates, and voted for Cynthia Nixon for Governor and for Jumaane Williams for Lieutenant Governor by an overwhelming margin. We are now fully committed to ensuring our progressive challengers — Cynthia, Jumaane, and our terrific candidates running against the Independent Democratic Conference, you might call them Trump Democrats given their support for Republicans — win in September and November. We also strongly support our allies Comptroller Tom DiNapoli and Attorney General Eric Schneiderman in their campaigns for re-election. And we're already working to get out the vote for Working Families endorsed candidate Shelley Mayer in her key special election in two weeks so we can win a progressive majority in the State Senate. And, most important, we're ready to go to the mat for progressives in key Congressional districts across New York that could decide who controls Congress. We have a lot of work in front of us. But one thing is clear. If we're going to win and transform our state, the old way of doing things just won't cut it any more. For eight years, we tried to work with Andrew Cuomo to transform New York into a truly progressive state. For eight straight years, he broke his promisesand kept the Republicans in power in the State Senate, blocking critical legislation for affordable housing, women's equality, criminal justice reform; to protect immigrants, combat climate change, and fully fund our schools and universities; and fix our broken voting and campaign finance systems. Why did he keep State Senate Republicans in power? To keep taxes low for his donors so he could continue to rake in contributions from real estate and hedge fund millionaires and billionaires: $31 million to be exact. That was more important than struggling working families being priced out of their homes. It was more important than New Yorkers stuck in jail only because they couldn't make bail. It was more important than millions of kids going to underfunded schools. Today, we're doing something different: We're supporting candidates who are with us from day one — who won't hesitate to take on the millionaires and billionaires who think the government exists only to fatten their wallets. Who understand that economic and racial justice are intimately intertwined and have been since the founding of the nation. And that we can't address one without the other. Candidates who will stand up for women's equality. For the rights of transgender people. For tipped workers and contingent workers with no benefits, and adjunct faculty who are barely scraping by. Candidates who will fight to make sure every single New Yorker has healthcare. These are candidates who are committed to leave no one behind. Who know that we are in this together. This is how we build a strong progressive movement that leaves the world a better place than we found it. To our friends in organized labor who are supporting Andrew Cuomo: We respect your decision and will always stand in solidarity with your efforts to organize workers and fight for fair contracts and economic justice. 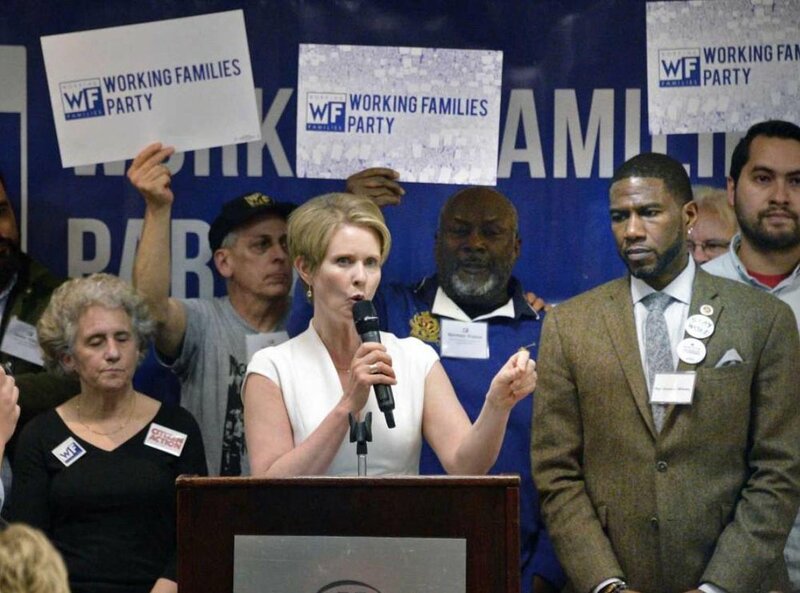 At the same time, the role of the Working Families Party is to transform New York into a progressive leader that puts the interests of all working families — both those in unions and those who deserve but don’t yet have the protections of a union — ahead of the interests of the wealthy donors that currently dominate our politics and economy.